The theory that strange Radio signals picked up on Earth from space could have been caused by an Alien species is always one that has been instantly dismissed, until now that is! Top Scientists and researchers are now intensively investigating the cause of these unknown radio signals. Many now believe that these signals could have been caused by Alien life forms living elsewhere in the Cosmos – Which makes a lot of sense. What is causing those bizarre ‘radio waves’ from deep space? It has been over the last 15 years or so that a dozen or so Bizarre ‘flashes’ have been picked up by Radio telescopes all around the world, of which nearly all of these signals ‘appear’ to show some kind of a mathematical pattern, which has caused an immense amount of confusion between the Scientists involved with investigating this oddity. The unknown strange sounds only lasted for a matter of seconds, but have erupted with as much energy as the Sun releases in a whole month!? I guess a lot of us Truth Seekers will be thinking to ourselves “Well what about contacting the ET’s that are visiting planet earth already?” well let’s make an assumption that the Scientists looking into these radio waves have zero knowledge about our visitors from other worlds. Or perhaps they DO indeed have some knowledge about the ET’s visiting us and are trying to discover where they have travelled from!? We will keep an ‘Open Mind’ on this for the meantime. It was ever since the CSIRO’s Parkes Telescope in central-west New South Wales picked up a radio burst in real-time, that astronomers have tried extremely hard to find out exactly what these signals with patterns of intelligence are! There are MANY leading researchers that believe that there are Aliens out there in the Cosmos who are responsible for these unknown coded messages, perhaps even sending these messages out into space to be heard! BUT here is where it gets REALLY interesting and something that is not being highlighted to us by the media or governments….because there is a delay between the arrive of the first and last wave which is nearly always close to a multiple of 197.5, making it a ‘mathematical phenomena’ which scientists and leading researchers have confirmed “cannot be found in nature”. And it is pretty clear what this means people, if it is not found in nature, then this can ONLY mean that ‘somebody’ or ‘something’ created them pretty big news really isn’t it!! According to some of the leading researchers involved with investigating these strange signals, it is believed that the source of these radio waves is actually pretty small, in fact possibly only hundreds of kilometres across, and very very far away, possibly even from another Galaxy. Some experts in this field believe that there could be several other reasons for these unknown radio bursts. The first thought was that we are looking simply at a lack of Human understanding about the Universe, and the limitation of human knowledge and that we are simple not as developed to understand this on a more scientific level! Another suggestion which has been made is that this could be our own technology which we are picking up radio waves from, of course this appears to have been a suggestion made directly by NASA, which isn’t a surprise really is it!? The more intriguing suggestion which has been made by leading experts is that these signals could possibly be from an Alien race who possibly WANT to be discovered….BUT if true then could this be for perhaps; help, knowledge of what is out there OR some kind of a ‘warning’!? 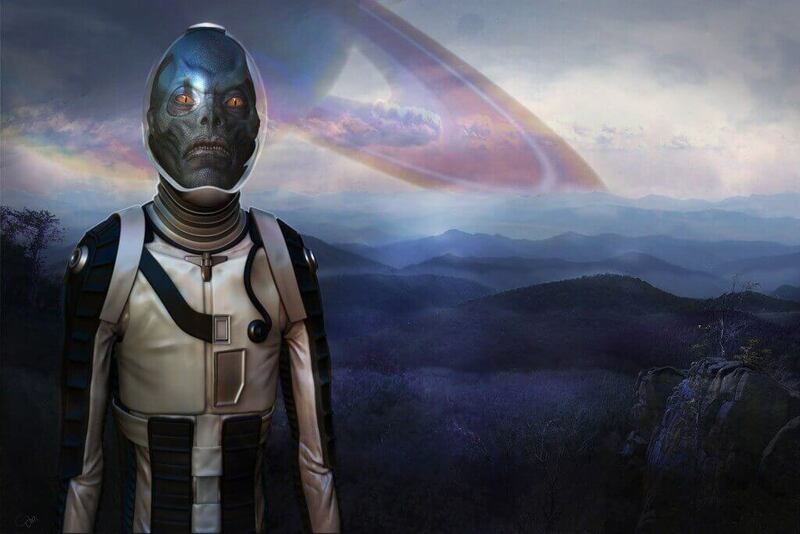 Could there be an Alien Race out there sending out yet to be coded messages to whoever can hear them!? For quite a few years now we have heard many stories about numerous different signals coming from space which could possibly be caused by an ET race, and then guess what people, YES we don’t hear anything else about the matter!? BUT things appear to be changing DRASTICALLY so and now these apparent radio waves are being fully looked at by some of the leading researchers and scientists around the world. Could there be a connection with all of these Exoplanets being found by the Kepler space telescope and there now being more ‘open discussions’ about these unknown radio waves coming from space? Quite possibly yes! Could this be yet more build up to something BIG and yet more drip feeding? Again YES, but the question is when will we discover the truth about all of these exciting areas of research…….I guess watch this ‘space’ and lets keep digging and pushing for the TRUTH people. Interesting how the NSA apparently once picked up an alien message from Space, in fact it is even on their website ~ I think ‘they’ know A LOT more than they make out to us all. The Horten 229 V3 “Flying Wing” 48 images – have you seen all of these before? ?